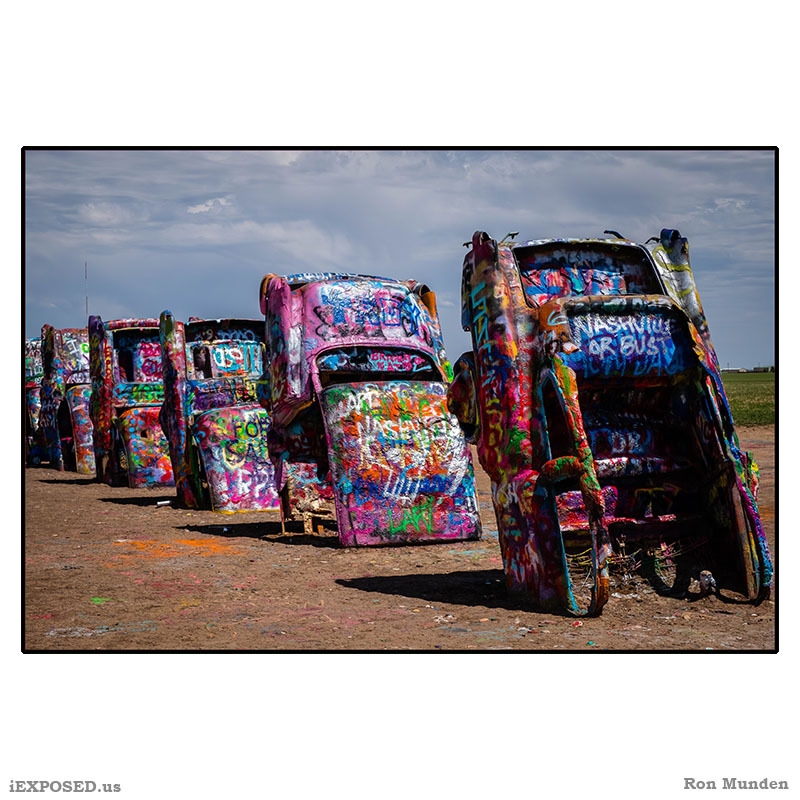 Yet Cadillac Ranch is more popular than ever. It`s become a ritual site for those who travel The Mother Road. The smell of spray paint hits you from a hundred yards away; the sound of voices chattering in French, German, and UK English makes this one of the most polyglot places between the UN and Las Vegas. We last visited just after a Texas-size downpour, and yet a steady procession of acolytes trudged through the ankle-deep mud to make their oblations. Many were barefoot, cheerfully slogging through the muck of livestock pee and poo (and parasites) and spray can trash, happy to be there. 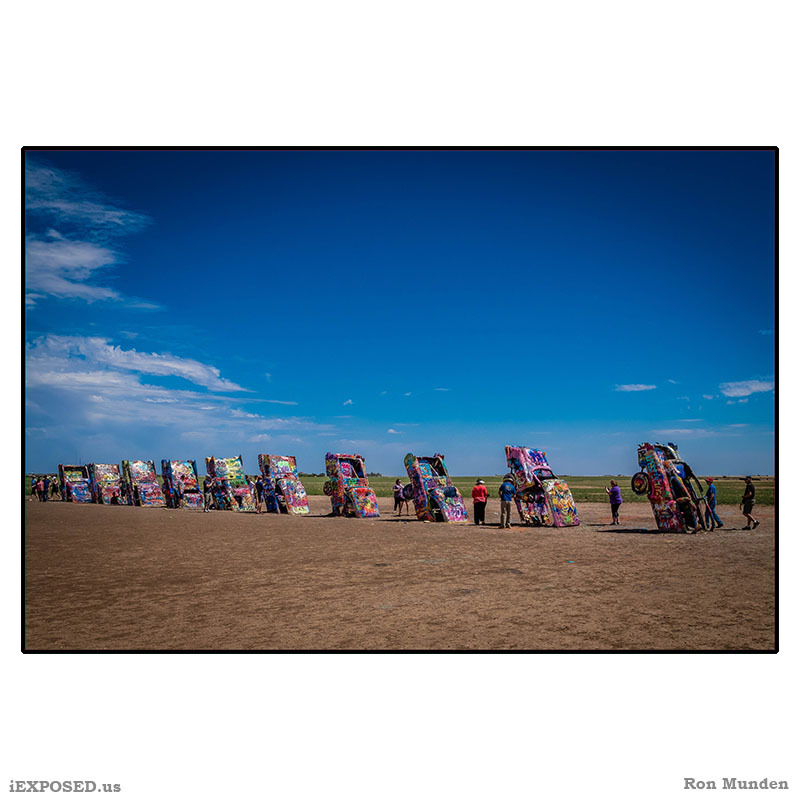 Despite its exposed location in an empty field, Cadillac Ranch seems to give its art-anarchists a sense of privacy and anonymity, like a urinal stall in a men`s room. Individual painters take a stance facing one of the cars, then let it fly. Surrounding visitors keep their distance, perhaps less out of courtesy than from a desire to stay clear of the spray cloud. The Europeans really seemed to enjoy attacking the cars during our visit, maybe because they`ve lacked a good graffiti canvas since the toppling of the Berlin Wall. 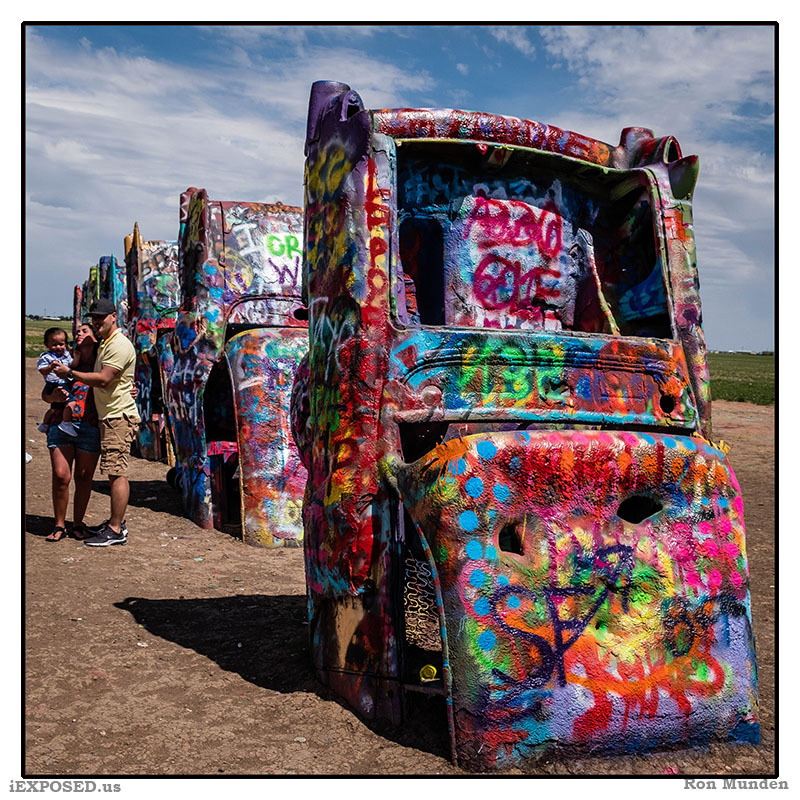 Tourists are always welcome at Cadillac Ranch. If you bring spray paint, make sure to snap some photos. 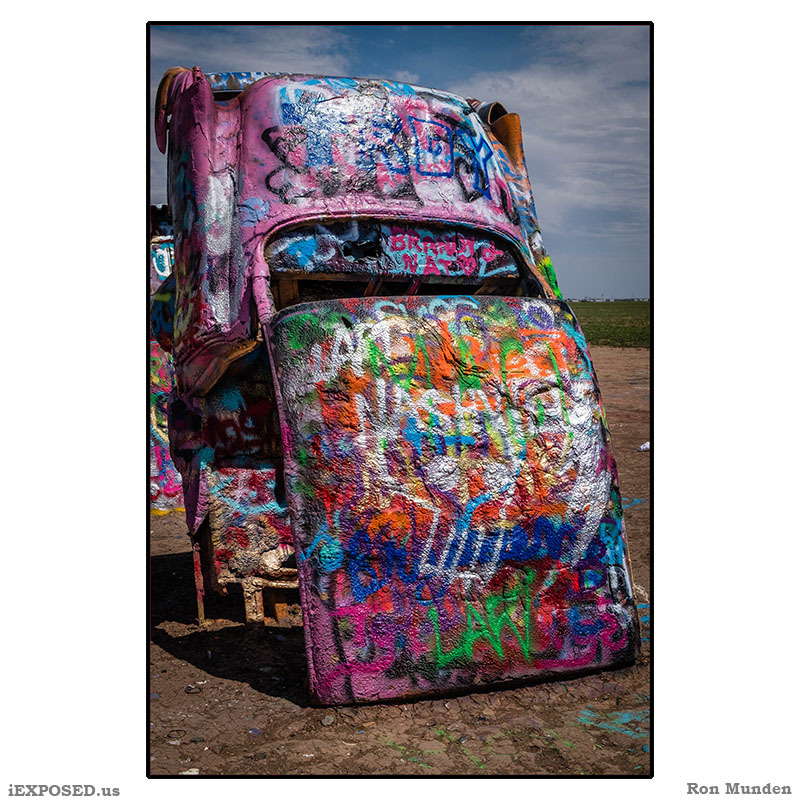 Because whatever you create at Cadillac Ranch will probably only last a few hours before it`s created over by someone else.